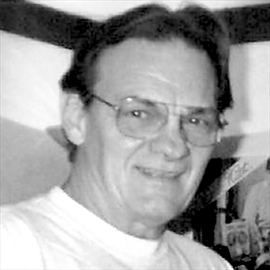 Home Obituaries & Death Notices JOHNSTONE, Alexander "Sandy"
JOHNSTONE, Alexander "Sandy" It is with great sorrow we announce the passing of our beloved husband and father on Saturday, March 17, 2018 at the Hamilton General Hospital, surrounded by his family. Survived by his loving wife of 59 years, Eileen (née Wishart), daughter Paula and sons Alex (Sandy) and Jason (Carrie). His grandchildren will miss their Papa; Steve, Nicky, Bobby, Jessica, Megan and Joshua. Sandy is also survived by his brother William "Bill" and brothers and sisters-in-law Don (Margaret), Frank (Jenny), Tom (Margaret), Marjorie (Dave) and John (Cathy). Predeceased by his parents and sister. Anyone that knew Sandy, knew of his love of sports. He was an avid baseball player. During the winter months Saturday evening was spent watching Hockey Night in Canada rooting for his beloved Montreal Canadiens. He was a proud member of Local 1005 and a retiree of Stelco. Visitation at the MARKEY-DERMODY FUNERAL HOME , 1774 King Street East (at Kenilworth) on Friday, March 23, 2018 from 11 a.m. until the time of a Funeral Service in the Chapel at 1 p.m. Cremation to follow. If desired, in lieu of flowers, donations to USW Local 1005 would be appreciated by the family.